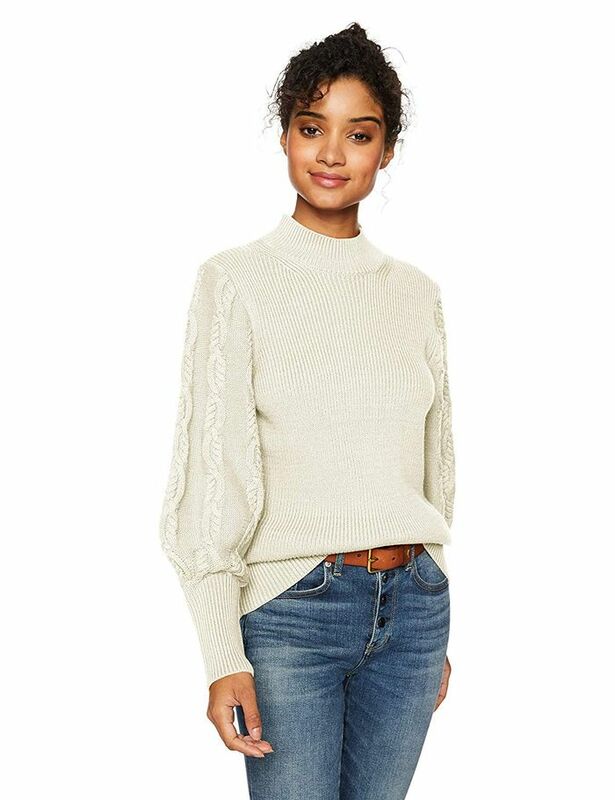 Shopping for winter wardrobe basics can seem like a daunting task, especially if your closet is in need of a complete seasonal refresh—that means your sweater, pant, boot, and coat collection could all use a bit of TLC ahead of the cold-weather season. Don't get us wrong; we're all for a trip to the mall, but sometimes, the convenience of online shopping is simply impossible to rival. And as it turns out, you don't even need to leave the comfort of your own home (or couch) to scoop up new warm, fashion-forward pieces either because you can find all the best winter wardrobe basics on Amazon. Have we caught your attention? The selection on Amazon is incredibly vast, and as such, we decided to narrow down our cold-weather clothing edit to include five basic pieces everyone should have in their closets. From a cozy, easy-to-wear sweater to warm wool pants to snow-friendly boots, these are the items to buy now and wear nonstop the next six months. Happy shopping! Try a bright sweater this season. This coat is a serious steal. We can't pass up a lavender coat. Your new favorite snow boots. For $35, you can buy two pairs in different colors. Don't go on your next winter hike without these. A seriously affordable footwear find. Everyone needs a pair of gray wool trousers. And a pair of plaid ones, as well. These are great for work or play. This one has 4.8 out of 5 stars. This one's sure to keep your noggin' warm. This one will pair well with all your winter coats. Next up, check out all the amazing holiday gifts you can score on Amazon, all for under $25.